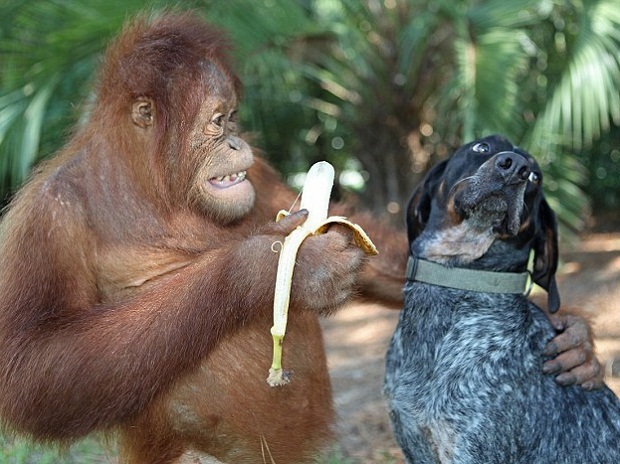 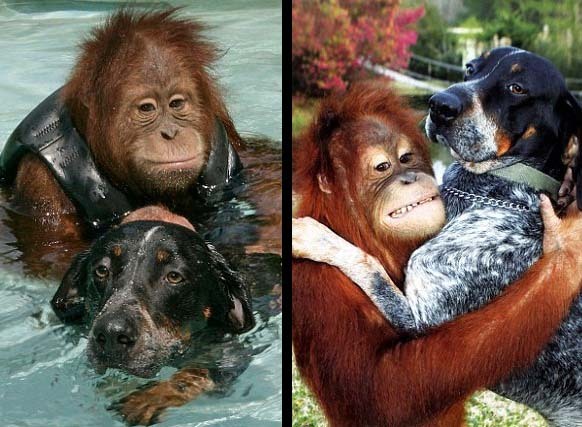 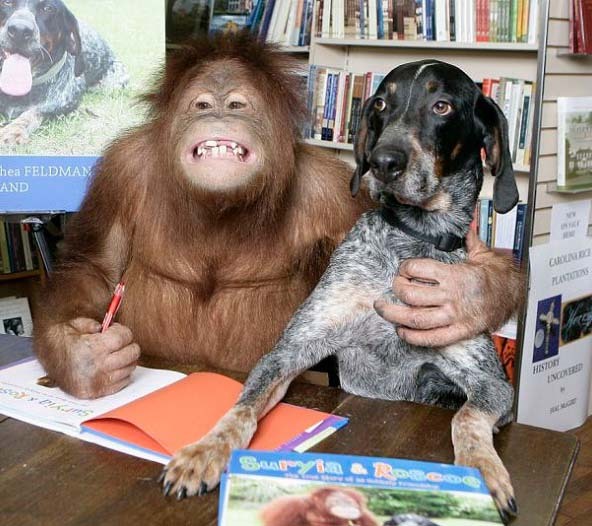 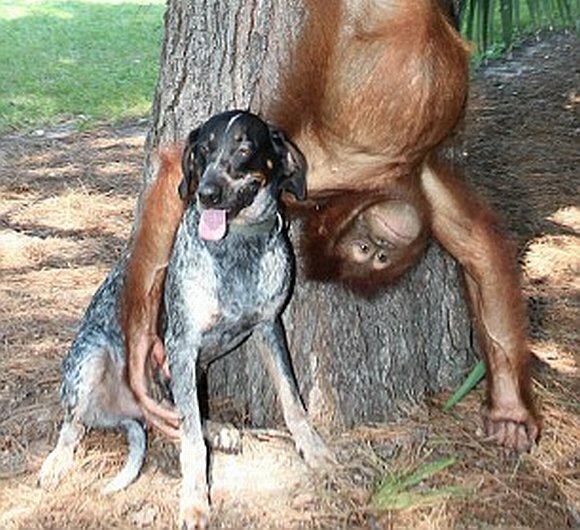 The unlikely friendship between an orangutan and a dog. 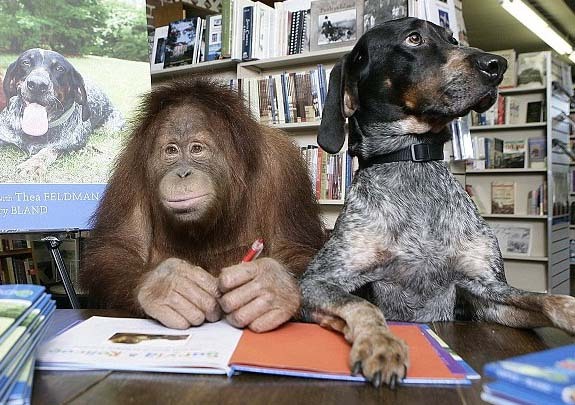 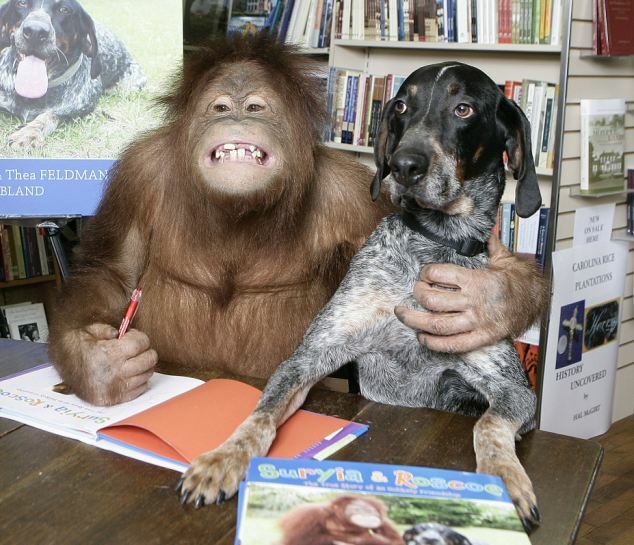 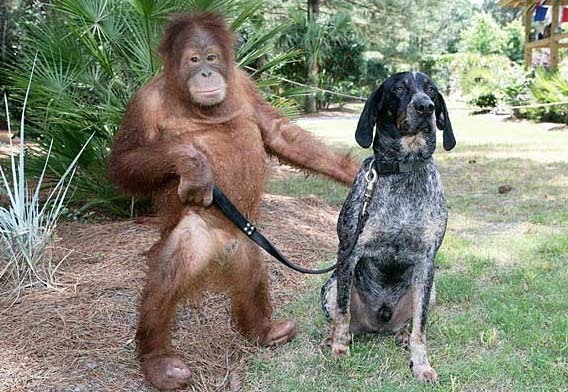 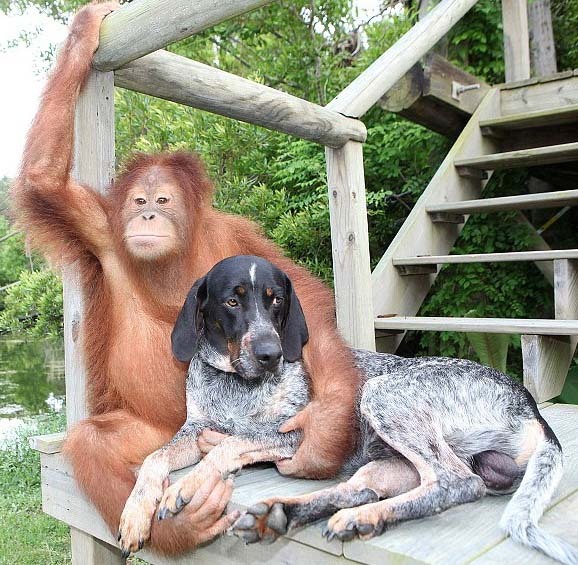 Suryia the orangutan and Roscoe the Bluetick hound have become inseparable. 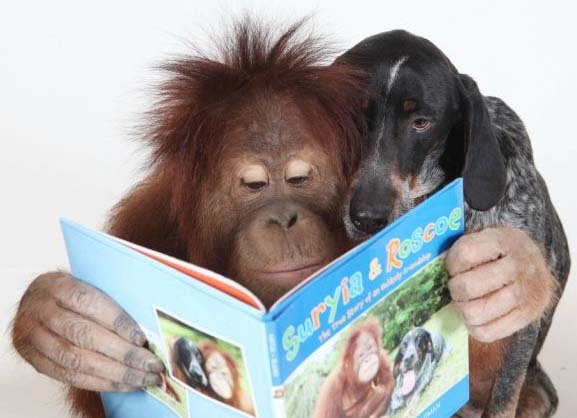 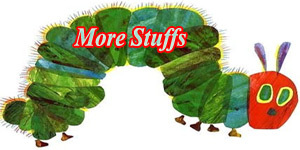 These two friends have released a picture book documenting their friendship. 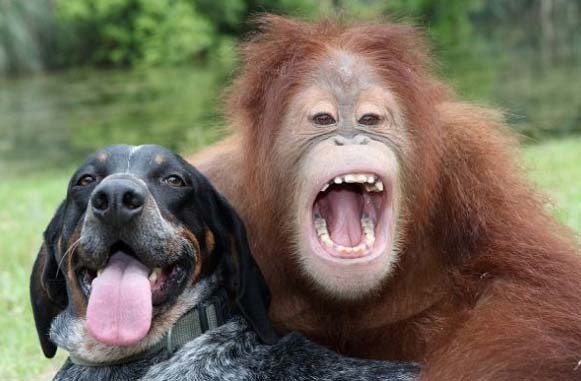 The two met at South Carolina wildlife reserve where they became good friends.